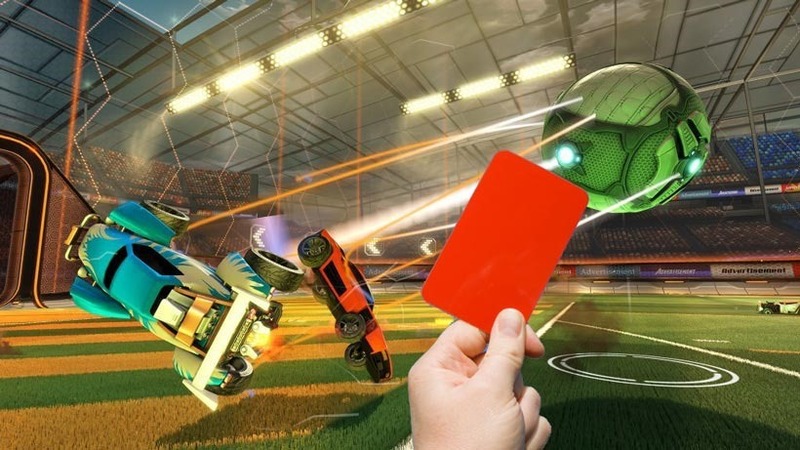 Just like real soccer/football/ball-kicking, Rocket League is the kind of game where a decent gain in points scored can quickly be reversed into a rear-naked chokehold that is followed by a trip to Suplex City. I’m not good at sports, but what I’m saying is that you can lose very quickly in that game. Like those poor bastards I played against last night in Rocket League who went down 7-2. Blue team never knew what hit them. I just wish my car colour wasn’t blue that night so that I could fit in with the orange team and oh craaaaaaap. Moving on from glaring own-goals, Rocket League also suffers from one other phenomenon that is sort of unique to soccer: Rage-quitting. And while trying to get an Oscar nomination by hitting the pitch with a performance worthy of an Academy Award nomination isn’t an option in Rocket League, hitting the pause menu and straight-out quitting certainly is. And that’s something that needs to stop. That’ll teach the sore losers. There’s a ton more through the original link, as the game is getting plenty of bug fixes, user interface enhancements and unlimited rocket boost within the training mode. Wheeeeeeeeeeeeeeeeeee! ROCKET LEAGUE! Next article ANT-MAN – So what did you think?